Japan. The land of anime and manga. When those two are brought up, usually the district of Akihabara in the city of Tokyo comes to mind. Sure, Akihabara still is the mecca of countless arcades with floors full of games, stores full of anime merchandise, and tons of specialty stores that will probably have what you are looking for. 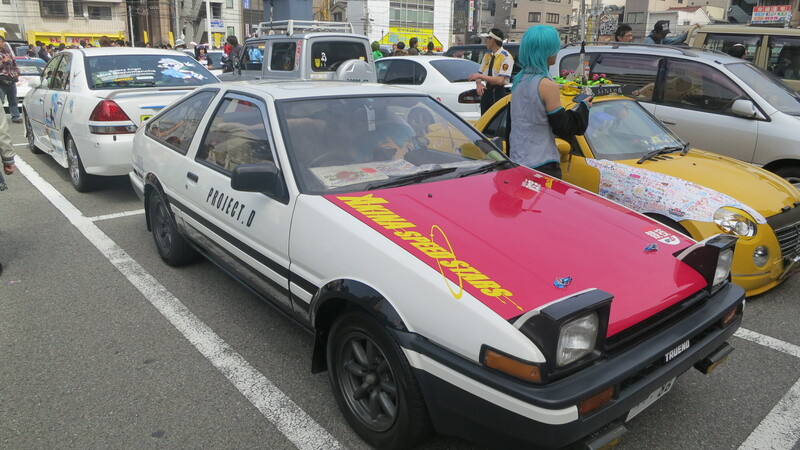 However, Akihabara is not the only area where these things can be found. Nipponbashi, otherwise known as Den Den Town, can be seen as the Akihabara of Osaka. While not the size of Akihabara, Den Den Town still caters to the needs of many nerds, myself included. The laidback and easygoing pace of Den Den Town is a lot more relaxing than the hustle and bustle of Akiba. Den Den Town is also home to one of my favorite events of the year: the Nipponbashi Street Festa. 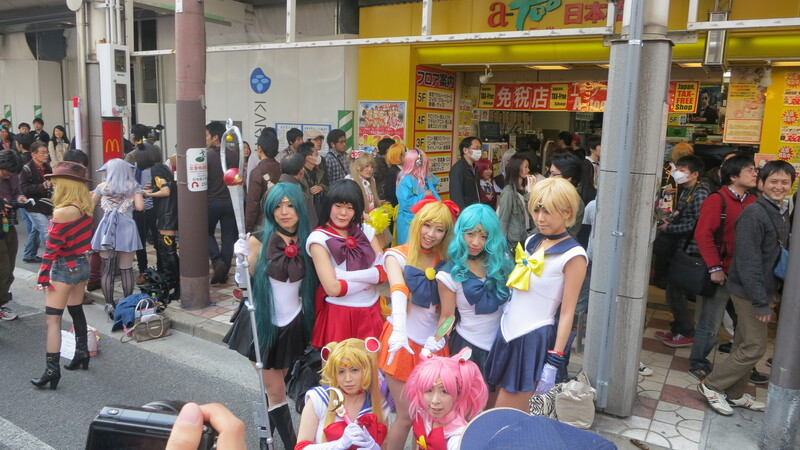 Sailor Moon has been getting a lot of attention ever since the new show, Sailor Moon Crystal has been broadcasting. Fans of anime and manga are probably aware of cosplaying. For the uninitiated though, cosplaying is essentially dressing up as your favorite characters from a show you like. 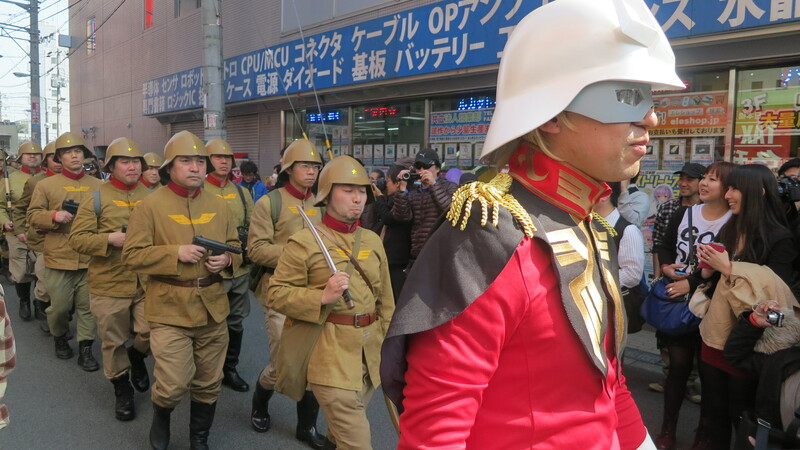 Obviously this isn’t restricted to just anime as we see plenty of people dressing up as their favorite comic book heroes in the U.S. During the Spring Equinox holiday in March, Nipponbashi holds a gigantic cosplay festival. The streets of Den Den Town are flooded with hundreds of cosplayers and photographers eager to capture their fine work. I am one of those photographers. 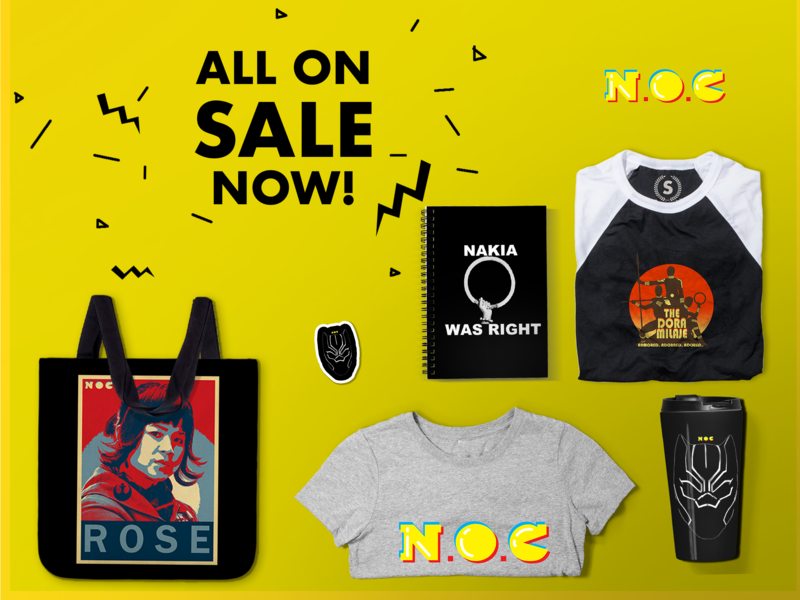 Fans of just about any show or video game — popular or obscure — will probably run into a handful of characters they recognize. This year was another great year of cosplayers and I continue to be amazed at how much detail some of these copslayers go in making their costumes. Here is just a small sample of the day. 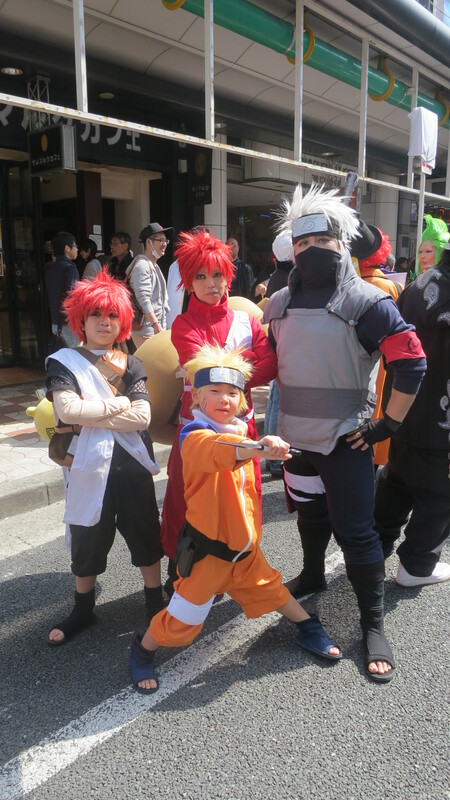 These cosplayers of Naruto were actually a family. It’s adorable to see a family of nerds participating together. 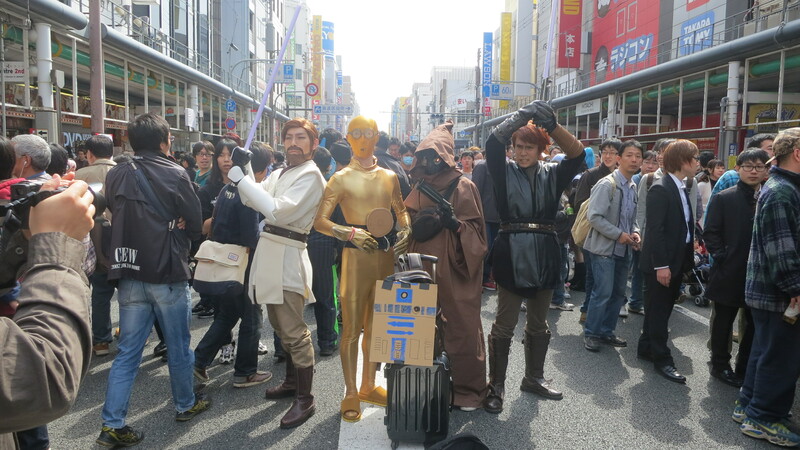 Not going to lie, I wasn’t expecting anyone to cosplay prequel Star Wars characters. Kudos to that R2-D2. One of my favorite moments in this event is when people cosplaying from one show run into strangers who are cosplaying from the same show. They always get so ecstatic from running into each other by chance and some go into character. 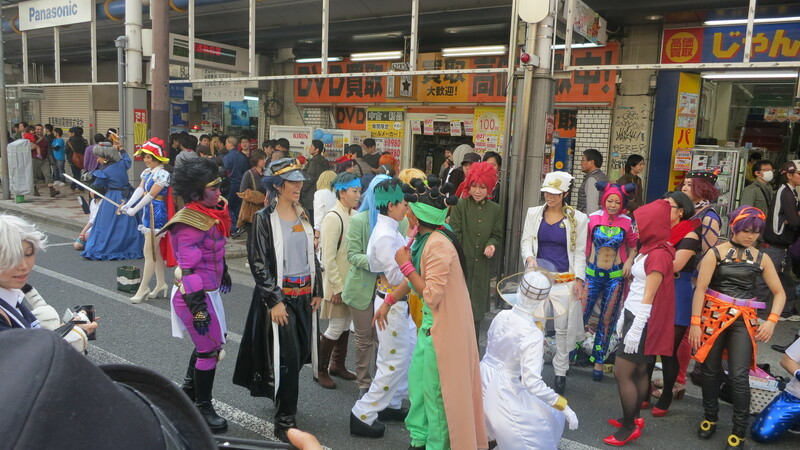 A chance encounter with fellow JoJo cosplayers! 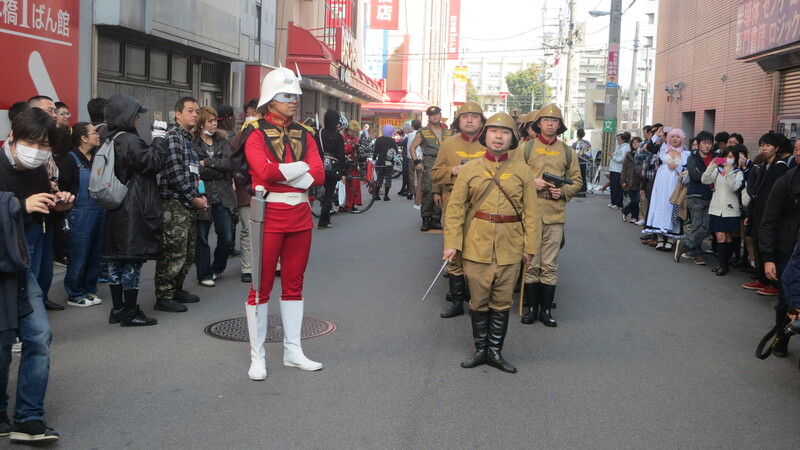 One of the highlights was running into Char from the original Gundam series and a mini squadron of Zeon soldiers. They were doing drills in the middle of the road, it was excellent. It’s moments like these that make me happy to see the passion of some fans. I wish I recorded the whole drill. 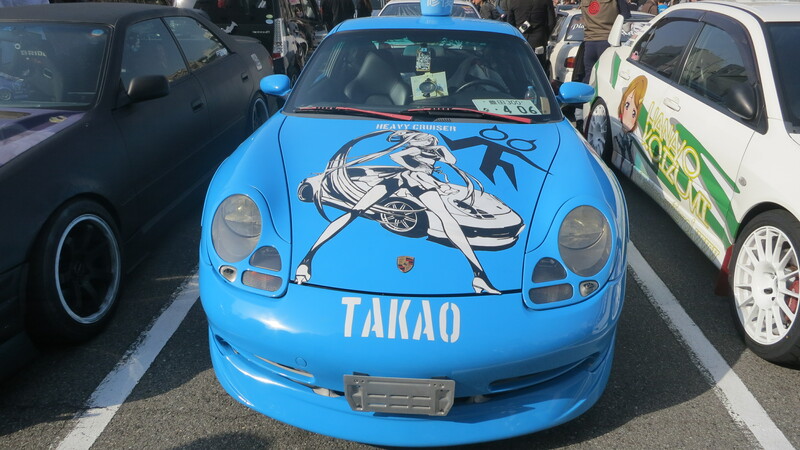 The Initial D fan in me nodded in approval. There’s simply so much to see, I always feel that the three hours the event occurs always flies by. If you’re ever in Osaka around March, I cannot recommend this festival enough. 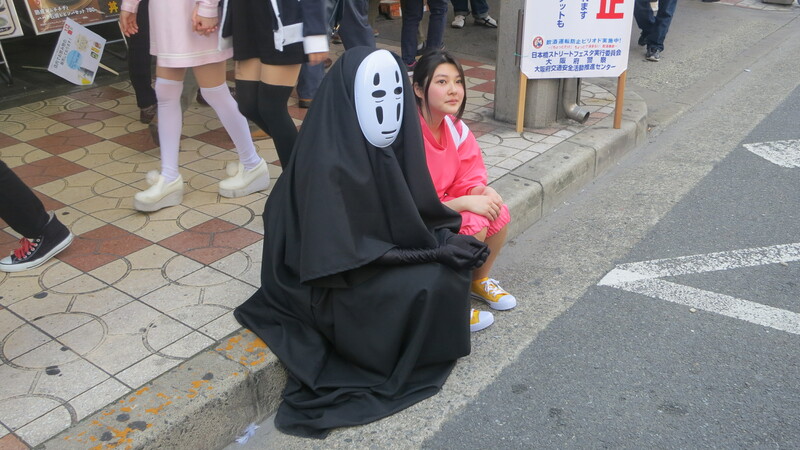 Just for one day, those crazy images of Japan can come to life.